Research instruments developed by the National Institute for Early Education Research are available for license here. To renew an existing license, see the License Renewal Form here. Developed by researchers at the National Institute for Early Education Research (Riley-Ayers, S., Stevenson-Garcia, J., Frede, E., & Brenneman, K.) the Early Learning Scale (ELS) is an authentic, observation-based performance assessment that provides educators with a practical tool for assessing the progress of students ages 3 to 5. Based on research, the ELS integrates with any curriculum and supports the needs of all student populations. The ELS improves teaching and learning through assessment in a focused and manageable way that is not overwhelming for teachers. The domains covered by the assessment include Math/Science, Social-Emotional/Social Studies and Language & Literacy. A Motor Development supplement is also available. Learn more. State early education administrators and policy makers need comprehensive and valid information on the costs of implementing a high quality preschool program. CEELO has developed an Excel-based model that can be used at the state or district level to estimate the cost of various early learning programs and policies. The model includes settings for “best practice” based on the NIEER quality standards benchmarks and federal Preschool Development Grant (PDG) requirements, but also allows users to vary these setting to understand implications for cost of various alternate modes of delivery. The model has the functionality to alter inputs based on specific state/local data on: Who is served (requires demographics on income, language, at least); Ingredients of the program (length of day, days per year, class size, number of coaches per 100 classrooms, sq. ft. per child, etc. ), Input prices (primarily teacher salary) and Allow for varying the mix of providers among public school, private providers, and Head Starts. The model could be used by states with some assistance from CEELO to estimate to what degree an existing program could be expanded within its current standards, additional funding that would be required to raise standards in an existing program, and Assess the costs of various state specific policy proposals. For more resources, visit our webpage. NEW! CEELO State Administrative Cost of Quality (SACQ) budget planning tool helps users generate data on the functions and costs of the state infrastructure to implement, monitor and sustain quality of early childhood programs. SACQ can be integrated into the CPQ&R to determine costs and funding sources related to implementing high-quality preschool programs. Learn how SACQ helped Washington State assess administrative costs. The CPQ&R and SACQ are free to use after completing either the CPQ&R licensing agreement or the SACQ licensing agreement. Rickus, G., Barnett, W.S., Nores, M., Weisenfeld,G., Friedman-Krauss, A., & Garver, K. (2018). Cost of Preschool Quality and Revenue (CPQ&R) 4.0. New Brunswick, NJ: Center on Enhancing Early Learning Outcomes. Rickus, G., (2018). State Administrative Cost of Quality Tool. New Brunswick, NJ: Center on Enhancing Early Learning Outcomes. The CASEBA (Freedson, Figueras & Frede, 2009) measures the quality of language and literacy supports offered by the teachers to the children with a focus on Dual Language Learners (DLLs). The CASEBA consists of 26 research-based items which cluster around six broad aspects of the early childhood curriculum: (1) gathering background information, (2) cultural inclusion, (3) curriculum content, (4) supports for home language and English acquisition, (5) social-emotional supports and classroom management, and (6) assessment. Though the CASEBA has not yet been publicly disseminated, a validity study of the measure was conducted in 100 classrooms in New Jersey, as well as in a staffing study of dual language learners in an urban district in New Jersey. Findings from the validity study are presented in Dual Language Learners in the Early Childhood Classroom (Freedson, Figueras-Daniel, Frede, Jung & Sideris, 2011). The unpublished instrument has garnered attention from early childhood dual language researchers across the country who are seeking observational tools to assess the quality of teacher input and interactions for both research and professional development in heavily dual-language classrooms. Most recently, the tool was highlighted as a valuable gauge of the extent to which teacher practices and classroom quality specifically address the needs of DLL children (Castro, Espinosa & Paez, 2011). The SESEBA was developed to serve as an in-practice version of the CASEBA for use by teachers and coaches for the purpose of professional development. The underlying premise of both the CASEBA and SESEBA is that use of high quality and meaningful interactions in the home language along with intentional and well planned strategies for English language learning are the best approach to teaching preschool aged dual language learners (DLLs). The SESEBA can help programs seeking to support teacher practice around areas of language and literacy development when the goal of the program is to maintain and build upon the home language while developing English for DLLs. The use of SESEBA aligns with consensus for general best practices in PD calling for intense, sustained and classroom-based approaches (Tout, Zaslow, and Berry; 2006; Loeb, Rouse, & Shorris, 2007; Ryan, Hornbeck, & Frede, 2004; Klein & Gomby, 2008) as it presents the opportunity for teachers and coaches to self-reflect, plan, implement and repeat. The SESEBA carefully guides coaches and teachers through a self-reflective exercise based on the cognitive coaching cycle (Costa & Garmston, 2002). SESEBA PD offers specific aims relative to DLLs including: 1) to reduce teachers’ own discomfort with and increase their knowledge of emergent bilingual acquisition, 2) to help teachers understand the need for dual language instruction in preschool, 3) to improve their teaching practices, and 4) to produce decision-makers capable of implementing effective instruction after the PD is over, leading to enduring change. The SESEBA instrument consists of the same research-based items as does CASEBA which cluster around the following features of support: 1) gathering background information, 2) cultural inclusion, 3) curriculum content, 4) supports for home language and English acquisition, 5) social-emotional supports and classroom management, and 6) assessment. In the Supports for Home and English Language Development sections, documentation for supports and practices are to be recorded and reflected upon in both English and the home language. This opportunity allows for teachers to reflect not only on their language and literacy practices in English but also on the complexity and intentionality of their development of the home language. Figueras-Daniel, A., Frede, & Freedson, E. (2014). The Self-Evaluation of Classroom Supports for Emergent Bilingual Acquisition. New Brunswick, NJ: National Institute for Early Education Research. Used with permission from The National Institute for Early Education Research (www.NIEER.org). Not to be copied or distributed by individuals other than those with permission from NIEER. The instrument has undergone, and continues to undergo, an iterative development process. Initial versions of the tool were piloted in early childhood classrooms serving under-resourced communities in New Jersey and New York. The current version of the instrument was used to study a total of 199 preschool classrooms in New Mexico, New Jersey, Rhode Island, and Kentucky. Further information about the PRISM can be found in the sources cited below. Despite being unpublished, the PRISM is sought after by researchers and educators in the U.S. and internationally because of its potential to contribute to early childhood science and math research and professional development efforts. Brenneman, K. (2011). New Brunswick, NJ: National Institute for Early Education Research. Assessment for preschool science learning and learning environments. Early Childhood Research and Practice, 13(1). Brenneman, K., Boller, K., Atkins-Burnett, S., Stipek, D., Forry, N., Ertle, B., French, L., Ginsburg, H., Frede, E., & Schultz, T. (2011). 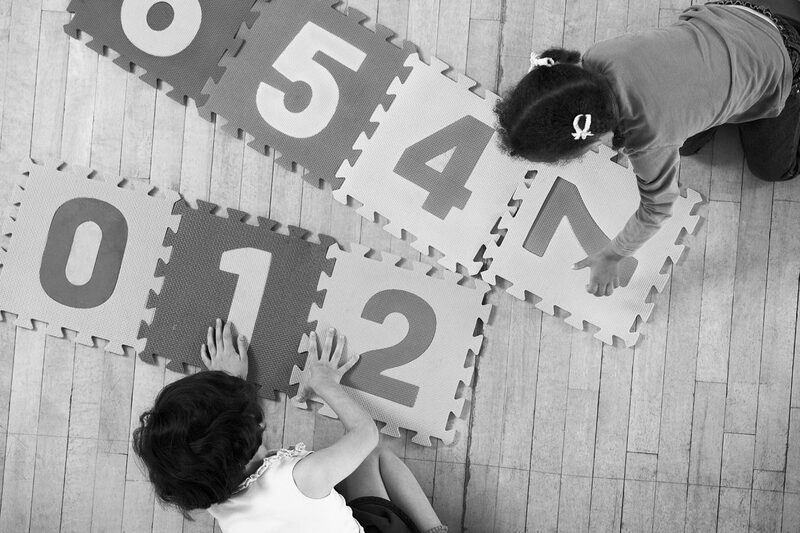 Measuring the quality of early childhood math and science curricula and teaching. In M. Zaslow, I. Martinez-Beck, K. Tout, & T. Halle (Eds. ), Measuring quality in early childhood settings. Baltimore, MD: Brookes Publishing. Stevenson-Garcia, J., Brenneman, K., Frede, E., & Weber, M. (2009). Preschool Rating Instrument for Science and Mathematics (PRISM). New Brunswick, NJ: National Institute for Early Education Research. The TSEEQ (Hallam, Rous, Riley-Ayers, & Epstein, 2011) is a self-report survey for early childhood teachers regarding their classroom practices and quality. The survey is completed independently and can be conducted either on paper or online. Teachers are asked to reflect on several aspects of the curriculum and classroom practices. These areas include: literacy, math, science, physical education and art curriculum, curriculum in general, instruction, assessment, physical environment, interaction and emotional climate, leadership and supervision, and family involvement. There are approximately 100 questions on the survey presented mostly with a 5-point Likert Scale response or a yes/no response. The complete survey is expected to take approximately 30 minutes per teacher. In a preliminary test of reliability, 490 surveys were analyzed and showed moderate to high levels of internal consistency, with low inter-item correlations (expected) and Cronbach alphas all above .7. Hallam, R, Rous, B. Riley-Ayers, S & Epstein, D. (2011). Teacher survey of early education quality. New Brunswick, NJ: NIEER. The HOME-SP is a NIEER translation (and adaptation) into Spanish of Infant and Toddler (IT) and Early Childhood (EC) Home Observation for Measurement of the Environment (HOME) Inventory (Caldwell, & Bradley, 1984, 2003) and its assessment manual. The HOME is designed to measure the quality and quantity of stimulation and support available to a child in the home environment, with a focus on the child. More information on the HOME can be found here. The original instrument is: Caldwell, B. M., & Bradley, R. H. (2003). Home Observation for Measurement of the Environment: Administration Manual. Tempe, AZ: Family & Human Dynamics Research Institute, Arizona State University. With permission from the original authors, we make accessible the Spanish adaptation of the HOME with the request that the English version Manuals and Scoresheets be bought from the publishers to comply with copyright. For questions on how to access the English original version, please refer to this page, or contact Robert Bradley at Robert.Bradley@asu.edu. To request the NIEER translation, please e-mail ccontreras@nieer.org with a signed copy of this agreement. The translation is provided free of charge as we are not the original authors of the measure. Nores, M., (2011) Observación para la Medición del Ambiente del Hogar. New Brunswick, NJ: National Institute for Early Education Research. Translated and Adapted from Home Observation for Measurement of the Environment: Administration Manual, by B. M. Caldwell and R. H. Bradley, 2003, Tempe, AZ: Family & Human Dynamics Research Institute, Arizona State University. Rutgers maintains full legal and other proprietary rights to the instruments listed above. Our agreement to share the instrument does not confer any right of ownership in or to the instruments listed above. By sharing the instrument Rutgers is not granting permission to use the materials in any way that would infringe upon or violate any United States or foreign copyright, patent, trademark, trade secret, or other proprietary rights of Rutgers. By sharing the instrument Rutgers is not granting permission to develop any material incorporating the material shared in the instruments listed above. By sharing the instrument Rutgers is not granting rights to create derivative works from the instruments listed above without prior authorization from NIEER. Nor are they granted permission to copy, distribute, or modify said materials without prior authorization from NIEER.